The king of Jamaican reggae plays alongside roots newcomers from South Carolina and Burkina Faso. 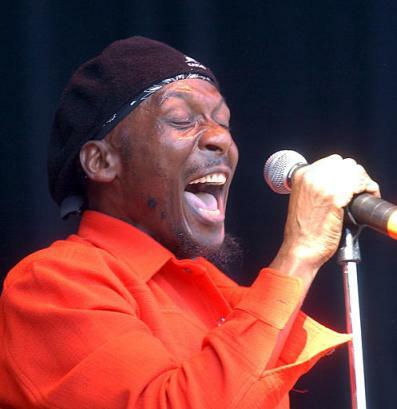 Jimmy Cliff is the world’s the best-known living Jamaican reggae musician and songwriter. He is generally credited for helping popularize the genre internationally with his soundtrack to the movie The Harder They Come, in which he also starred. His many hits include “Sitting In Limbo,” “You Can Get It If You Really Want” and “Many Rivers to Cross” and the now classic covers of “Wild World” and “I Can See Clearly Now.” He was recently inducted into The Rock and Roll Hall of Fame and holds The Order of Merit, the highest honor granted by the Jamaican government for achievements in the arts. For more than thirty years, Victor Démé has performed his soulful blend of rootsy African blues in bars and clubs of his home town of Ouagadougou, the capital of the landlocked West African nation of Burkina Faso. His heartful vocals evoke the struggle of a hard lived life, but also the confidence and wisdom of a man who comes from the griot tradition and spends his life honing his craft. Having already won acclaim throughout Europe, this is his US debut. But it wasn’t until the intervention of a French journalist and local hip-hop club promoter that he was able to record his first album of all original material. In 2009, his self-titled debut of rootsy blues gems was finally released internationally.